If you are self-conscious about the shade of your teeth or if you have staining or discolouration on some of your teeth, professional teeth whitening treatment is a safe and recommended option for you to consider. By law, only trained dentists are able to provide higher levels of teeth whitening. You need to be at least 18 years old. 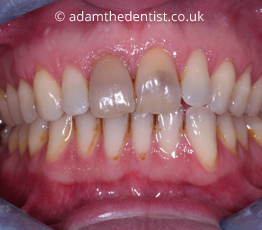 Adam will assess your teeth for the type of staining/ tooth discolouration your teeth have and also assess the health of your teeth and gums. 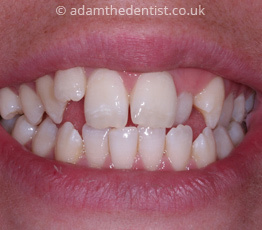 There needs to be good oral health before proceeding with tooth whitening treatments. The teeth whitening process is activated by a bleaching agent - normally either a carbamide peroxide or hydrogen peroxide gel, which is inserted into the custom tray that transfers it onto your teeth. 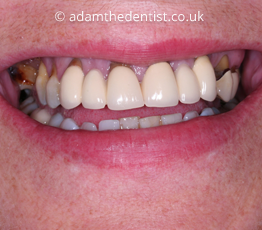 Impressions are taken so that a custom tray can be made to fit snugly over your teeth. These home teeth whitening kits allow the teeth to be lightened gradually over 1-2 weeks. 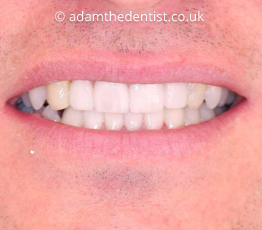 With all whitening treatment, individual results will vary and are dependant on your initial tooth colour and the nature of your tooth staining. There also can be risks of tooth sensitivity during the use of the tooth whitening gel which can vary for each individual. 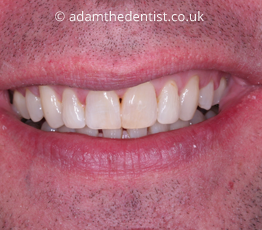 Tooth whitening treatments can be very effective but to maintain the whitened look of your teeth the treatment may need to be repeated every so often. 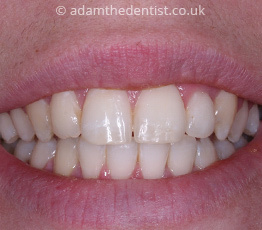 If you are interested in teeth whitening in Southend on Sea get in touch with our friendly team. 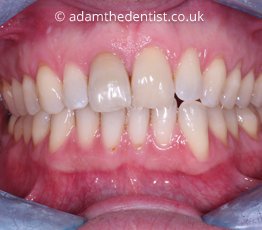 The following information is provided by safetoothwhitening.org which is supported by the BDA. Some people may find their teeth become more sensitive. 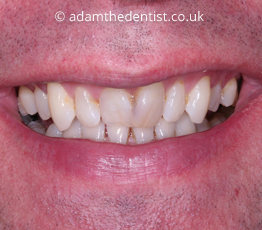 Others may have slight white patches on the gum line, but these will disappear within a few days of treatment. Extreme sensitivity or burning of the gums is not normal. If you are in pain, go back to your dentist straight away. How long will the whitening effect last? If you avoid food and drink that may stain your teeth – red wine, curries, tea and coffee – it can last for up to three years. What if I have fillings, veneers, crowns or dentures? 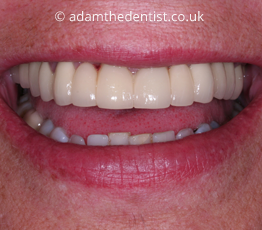 Tooth whitening will not work on any 'false' teeth such as veneers, crowns or dentures, nor will it whiten fillings. These may need to be replaced after tooth whitening to match the new colour of your teeth. Who should I contact if I have problems after the treatment? What if I am not happy with the treatment? Your dentist should have a written complaint procedure for you to follow if you are not happy with any aspect of your treatment. What kind of insurance will my dentist have? All dentists will have indemnity insurance which covers all the treatments they give. Because it is illegal for anyone other than a dentist to carry out tooth whitening, only a dentist would be able to take out insurance to cover this. So people offering tooth whitening illegally won't be insured. If you are not sure that the treatment you are being offered is legal, do not go ahead with it and ask your dentist for advice. A qualified and registered dental professional will have a 'GDC number' from the General Dental Council. You can check this at www.gdc-uk.org. If you want to check that someone is legally allowed to carry out the treatment, go to this website first. If the treatment says 'peroxide free', it still may not be safe or legal. Check that it does not use sodium perborate or chlorine dioxide – these can be harmful. You cannot get whitening treatments on the NHS. Private charges will vary from practice to practice and region to region, so shop around for the best deal. 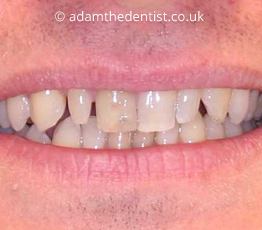 If a friend has had their teeth whitened by a dental professional, talk to them too. Although they do not affect the natural colour of your teeth, whitening toothpaste may be effective at removing staining, helping to restore the natural colour of your teeth. If you have any concerns about a product or someone you think is carrying out illegal tooth whitening, please go to - www.safetoothwhitening.org and let the Tooth Whitening Information Group know.